Which Windows 8 Version Is For You? We’ve already covered how to get Windows 8 for just $40 How To Get Windows 8 For The Lowest Possible Price How To Get Windows 8 For The Lowest Possible Price Whether the mixed reviews of the preview releases of Windows 8 have influenced pricing or Microsoft are simply taking a leaf out of Apple’s book isn’t quite clear, but the price of a new copy... Read More — or $15 if you’ve just purchased a new PC. But if you’re interested in upgrading, you’ll also need to know which Windows 8 version is right for you. The good news is that Microsoft has simplified the different editions of Windows in Windows 8 – gone are the Starter, Home Basic, Home Premium, and Ultimate editions. The list of available Windows 8 editions is actually fairly short. If you’re new to Windows 8, don’t forget to check out our Windows 8 guide. There are only four editions of Windows 8 – three editions for most home users. If you ignore the edition designed specifically for ARM tablets, there are only two PC editions of Windows 8 to choose from – much simpler than the confusing amount of editions offered with past versions of Windows. Windows RT is the most confusing edition of Windows 8. We’ve covered this before What's the Difference Between Windows 8 & Windows RT? [MakeUseOf Explains] What's the Difference Between Windows 8 & Windows RT? [MakeUseOf Explains] With the Surface tablet announcement a few weeks ago and the final release of Windows 8 looming ever closer, some people are understandably going to be confused about the various versions available. I'm here to... Read More – in short, Windows RT is a special version of Windows 8 for ARM computers, particularly tablets. Windows RT won’t run your existing software – if you buy a Windows RT tablet, you’ll have to use Metro applications. There’s a desktop, but it will only run Microsoft applications such as Microsoft Office 9 of the Best Free and Low-Cost Alternatives to Microsoft Office 9 of the Best Free and Low-Cost Alternatives to Microsoft Office Microsoft Office has dominated the market of text documents, spreadsheets and slide shows for years, and for good reason – it’s one of the very best. 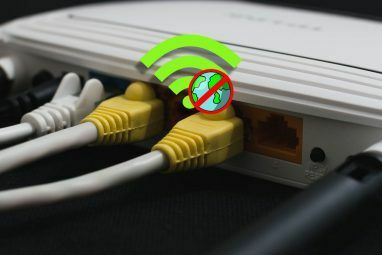 However, there’s one drawback and that is the price.... Read More – Microsoft won’t allow third parties to write applications for the Windows RT desktop. Windows RT’s name is a bit odd – it isn’t even called Windows 8, it’s technically just “Windows RT.” It was named after Windows Runtime (WinRT), which is the new development platform used for Metro-style A Brief Guide To The Secrets Of The Windows 8 User Interface A Brief Guide To The Secrets Of The Windows 8 User Interface For most users, Windows 8 will come as something of a surprise when it is released, thanks to the unusual implementation of the Metro UI. If you’re not inclined to make use of whatever methods... Read More apps. However, both Windows RT and Windows 8 can run WinRT apps. This is all quite confusing, but you don’t really have to worry about it too much. It’s impossible to buy a boxed copy of Windows RT – Windows RT is only available preinstalled on ARM tablets. If you’re buying a tablet, be sure to check whether it runs Windows 8 or Windows RT – the first version of Microsoft’s Surface tablet will run Windows RT, so you can’t use it to run your favorite Windows desktop software. Surface Pro, which will be released several months after the initial Surface tablet, will run Windows 8 Pro instead of Windows RT. Windows 8 – This is the main edition of Windows 8, which is targeted at home users. It’s most similar to the “Home Premium” edition of Windows 7. With Windows 8, you get all the features you’d expect – the Windows desktop 6 Ways Microsoft Is Killing The Traditional Desktop In Windows 8 [Opinion] 6 Ways Microsoft Is Killing The Traditional Desktop In Windows 8 [Opinion] The traditional desktop is still around in Windows 8, and it’s probably the best Windows desktop yet (aside from not having a Start menu.) But Microsoft is setting it up for the kill. The writing... Read More with support for traditional Windows desktop programs, the new environment formerly known as Metro, and other features designed for home users. Most people will be happy with this edition of Windows 8. Windows 8 Pro – The Pro version is targeted at businesses and enthusiasts. 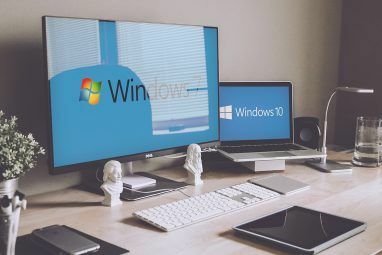 It includes the kind of features traditionally included in professional editions of Windows: group policy support, remote desktop server capabilities, Windows domain support, encrypting file system, virtual hard disk booting, and BitLocker. There’s one feature that might interest some of you here, though – you can only use Windows Media Center Why I'm Done With Windows [Opinion] Why I'm Done With Windows [Opinion] Microsoft made an announcement this week that has really just tipped me over the edge. It's the last in a string of moves actually; but that's it. I'm done. I'll switching all my Windows machines... Read More on Windows 8 Pro. It’s available as a free add-in, but only for the Pro version of Windows 8. Windows 8 Enterprise – This is the traditional enterprise edition of Windows, available to organizations with volume licenses. It includes all of Windows 8 Pro’s features (aside from support for Windows Media Center) and a few other ones, such as Windows To Go, which can install Windows 8 on a USB stick. The USB stick can be connected to any computer and Windows 8 can be run directly from the USB stick. There are also some N editions (such as “Windows 8 N Edition”). These versions ship without Windows Media Player and are designed for the European market, where Microsoft was forced to offer them by the European Commission. If you buy the basic edition of Windows 8 (which most computers will come with) and decide you want the Pro edition later, no problem – you can use the Add Features to Windows 8 control panel (known as “Windows Anytime Upgrade” in previous versions of Windows) to purchase the Windows 8 Pro Pack, which upgrades your Windows 8 to Windows 8 Pro. If you’re buying a boxed copy (or digital download) of Windows 8, there are only two versions you need to worry about – Windows 8 and Windows 8 Pro. Windows 8 is designed for home users, while Pro offers features more useful for businesses and enthusiasts. However, if you want Windows Media Center, you’ll need the Pro version. If you’re buying a tablet What You Need To Know Before Buying A Tablet What You Need To Know Before Buying A Tablet Tablets are starting to mature. Android’s new 4.1 release includes tweaks that dramatically improve the user experience. Apple’s iPad is now on its third iteration and continues to dominate the market. And Microsoft is about... Read More with Windows 8 preinstalled, check its edition – if it contains Windows RT, you won’t be able to run Windows desktop apps (aside from Microsoft Office and other Microsoft apps). 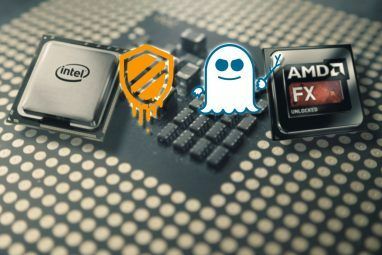 In the future, some laptops and other types of computers may also use the ARM architecture and may ship with Windows RT, without support for Windows desktop apps. There’s some other good news if you’re building your own computer – Microsoft has removed the (generally ignored) restriction on using OEM versions of Windows for your own computer 10 Ridiculous EULA Clauses That You May Have Already Agreed To 10 Ridiculous EULA Clauses That You May Have Already Agreed To Let’s be honest, no one reads EULA's (End User Licensing Agreement) - we all just scroll down to the bottom and click "I Accept". EULAs are full of confusing legalese to make them incomprehensible to... Read More . Previously, although many stores sold OEM versions, you weren’t supposed to install them on your own computer, even if you built the computer yourself. The license stated that a computer with an OEM version installed must be sold to someone else or you were running a “non-genuine” Windows 8 version and might as well have pirated Why The Campaign Against Piracy Is A Farce [Opinion] Why The Campaign Against Piracy Is A Farce [Opinion] DMCA, SOPA, MegaUpload shut down, piracy becoming a religion in Sweden - not a week goes by without some shutdown, anti-piracy laws or shocking statistics about torrents - and I have to ask myself, is... Read More your copy of Windows. This restriction has now been removed, so feel free to buy an OEM version if you’re building your own computer. However, OEM versions are still tied to a single computer – if you build a new computer, you’ll need a new OEM copy of Windows 8 for it. Which version of Windows 8 are you planning on purchasing? Leave a comment and let us know! I forgot my windows 8 product key how can i find it ? Why dosnt microsoft let us have windows to go?it not fair! i am using sony vaio notebook having registered windows 7 ultimate.i want to update it to windows 8 pro.can i do this? For *my* needs, a stripped-down, "starter"-type version would be best. Something I can buy for $25.00 and lets me run the one or two Windows apps that have to run in the actual OS (can't be run in Wine due to needing USB, etc). I can then load it in VirtualBox under Linux, and be able to run a *real* operating system for the rest of my computing needs. You can actually buy a new "upgrade version" for $40, assuming you already have a legit copy of Windows. That's pretty convenient. I'm a full time developer and serious gamer, so I rely on a lot of third-party software and tweaks. As with any new software that's bound to have a large impact on my work / leisure activities, I'm going to hold off on Windows 8 until all of the kinks are sorted out. I'm definitely purchasing Windows 8 (Home Basic equivalent) though once I am certain I will be able to transition without too many hassles apart from learning the new interface and operating procedures. I've been running the x64 Enterprise edition in a VM on my PC. I would suggest the Pro version as the price point makes it worth getting the additional features. So far it runs great (even in a VM) and the only issues I have seen is that some of the apps aren't fully implemented yet as it is only a test environment for now. Windows 8 looks not that great for me..
Will there any good review about the Windows 8 here in makeuseof.com? We've definitely covered a lot of features. Haven't done any performance benchmarks though; that could be interesting. really only 3 version for desktop? not 8? Because in a tech video channel in youtube that I watched he said that's its 8, correct me if I'm wrong. The person on YouTube may have misstated by referring to Windows 8 as version 8. There are only three Win8 products, but they do come in both 32-bit and 64-bit versions. If you download Win8 you choose the version. Boxed are supposed to have both. New PC's will come with the appropriate version for your CPU. I'll get a full version when it's out. I've been testing it on laptops and netbooks for awhile and it's not bad...just a few annoyances. I want the Start Orb back ( Stardock crashes on some of my systems ). I'd like an option to boot straight to desktop ( I think this will be a deal breaker for business adoption ). Even with resolution trickery the WinRT apps won't run on some Netbooks. The hybrid hibernation for quick startup is great and I like the built in PowerShell ISE. Runs better than Win 7 on an Atom netbook with 2GB RAM. Overall I put it in the plus category. Give me an option to boot straight to desktop and ignore Metro entirely and it'd be the best version of Windows yet. since, I have a genuine copy of windows 7, I am eligible for a upgrade to windows 8 pro. So, I will be upgrading to the pro version. too much variants. confusing. filthy interface. what more do you expect from Windows? more malwares destroying your computer? Good job! You have done a good research and your article has cleared some of the doubts that was waiting to creep up into my mind in future.A much needed article. is there any tool that can upgrade windows7 directly to 8?? I believe a Windows 8 disc can perform an upgrade, just like previous Windows versions could. I suppose we'll just have to get used to it. They don't want another post-Windows-XP delay. Well, Microsoft has given itself a black eye over the years with its business tactics, so I am dubious each time I see Microsoft do anything! Don't get me wrong, Microsoft had a great beginning, then unsettling news started to trickle out about how they stymie the competition with God knows what tactics! How about Microsoft simply building a very good, very dependable base operating system, then allowing users to upgrade to the next "revision" with a reasonable upgrade price, instead of throwing the baby out with the bathwater! Is Windows 8 backward compatible, is it seamless when it comes to my Windows 7 Ultimate programs when it is integrated in? Just basic questions...................Is Microsoft consumer driven, or is Microsoft Microsoft driven? I am still debating whether I should buy Windows 7 for my gaming PC or Windows 8. But If I decide to go with Windows 8, I think I will buy Windows 8 Pro. But I highly doubt I will get Windows 8 because I don't really like the idea of the OS being based off a UI for a phone. If I have a gaming PC with 4.3 GHz Quad core processor and 16 GB of RAM I want to be 100% sure I will be able to have an OS that I know will be able to do anything I want with the highest performance possible! Does anyone know if Windows 8 will even support 16 GB (or more) of RAM? I know that some versions of Windows 7 couldn't support more than 16 GB of RAM and I will not want an OS that won't let me get a RAM upgrade. For all the problems with Windows 8, performance isn't one of them. It does perform better than Windows 7.
does anyone know how much ram windows 8 pro surface will have? Don't believe they've announced it yet. Above is Microsoft's recommended requirements. ya u can, ur specs are good. Windows 8 should be more lightweight than Windows 7, which was more lightweight than Vista before it. That's one good thing about the tablet focus with Windows 8.